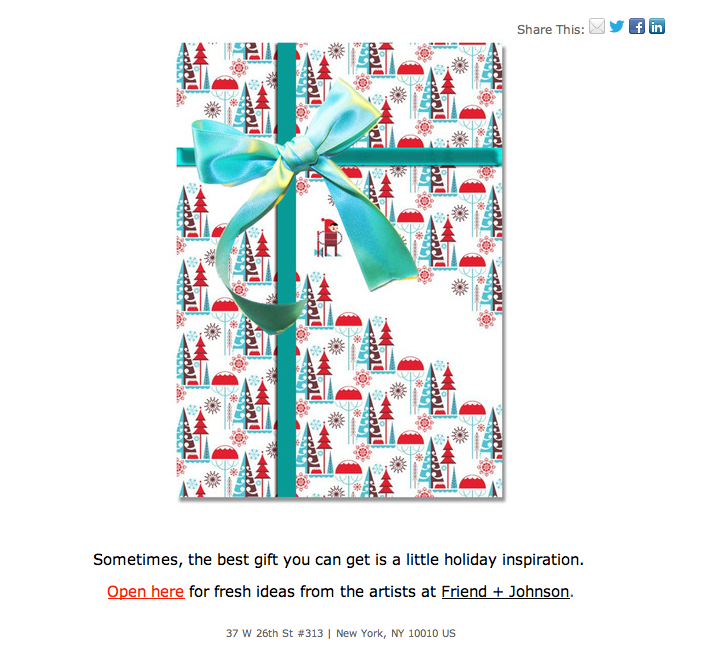 Eblast to creatives working in retail, a visual reminder to consider f+j artists for holiday projects. 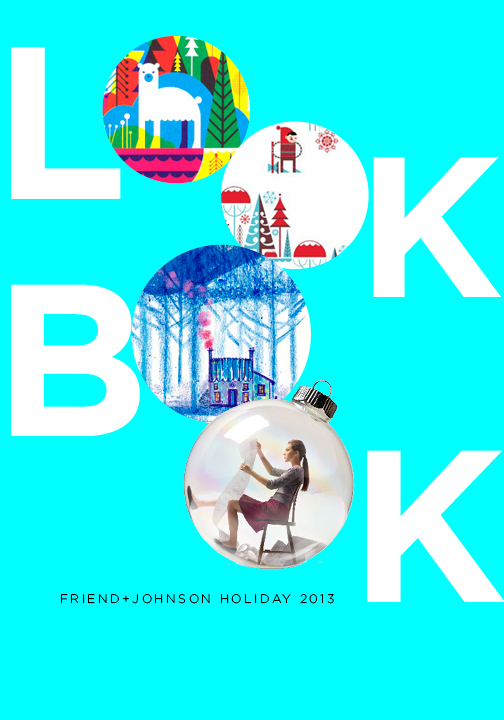 See the online flip book. This entry was posted in books, enewsletters and tagged friend and johnson eblasts on July 16, 2013 by cocoxoxo. check out the latest f+j news. The opens and click throughs have been outstanding. This entry was posted in enewsletters and tagged friend and johnson eblasts on July 15, 2013 by cocoxoxo.